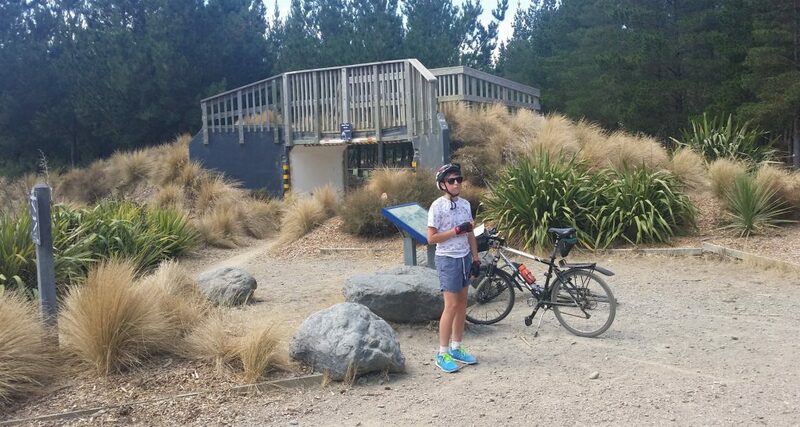 If you’re looking for a handy recreational riding getaway that doesn’t involve the climbs of the Port Hills and is do-able with the kids, then I suggest that you look at the McLeans Forest Park behind the airport (Bottle Lake Forest to the northeast would be the other recommendation). 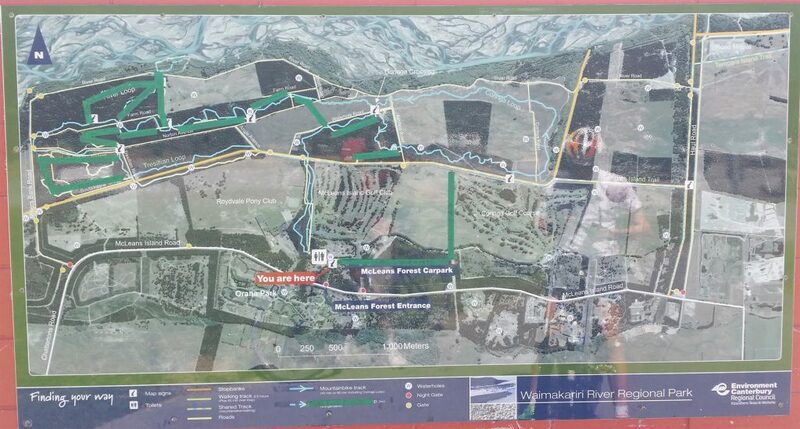 Part of Environment Canterbury’s Waimakariri Regional Park, McLeans Forest comprises about 15km of mountain biking tracks based on a couple of loops over and around the Waimakariri River stopbanks. Head out on McLeans Island Rd and look for the entrance on the right just before you get to Orana Wildlife Park. 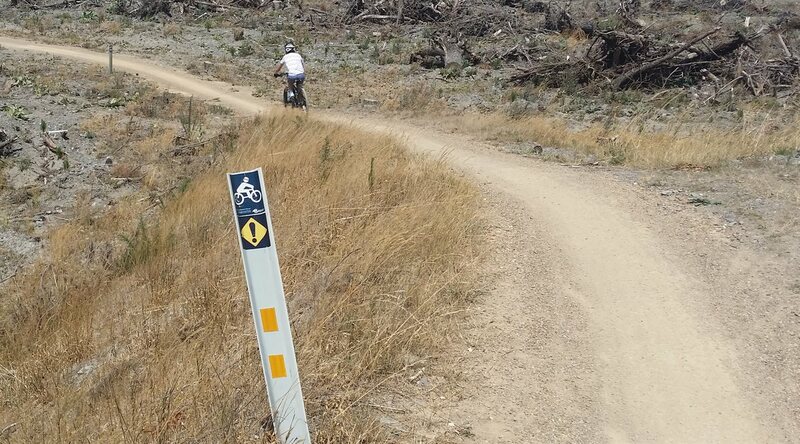 It has taken some work to slowly reopen the walking and biking tracks to a similar form as before, but the biking tracks have generally all been back in action for a few months now (still a bit of work to do on the walking ones). However, parts of the route that used to be under forest cover are now out in the open amongst storm debris and logged trees. It makes it a bit easier to get your bearings as you make your way around the circuit (but it might be harder to convince any tiring children that the finish is “just around the bend”). On a hot day, like my recent visit, you may also wish for a bit more shade in places. The circuit is relatively friendly to bring the youngsters along for the ride. Mostly it comprises gentle turns and bumps to give them a thrill. The stopbanks may need a bit more work; typically they’re about 3-4m above the surrounding ground. So that may require a bit harder pedalling to get up and a bit more hand on the brake as they go down. Some of those downhills have rather tight bends at the bottom; I’ve had two of my children come to grief on these in years gone by. Just make sure everyone is within the limits of what they can handle and it should be OK (they can always walk through a section if need be). 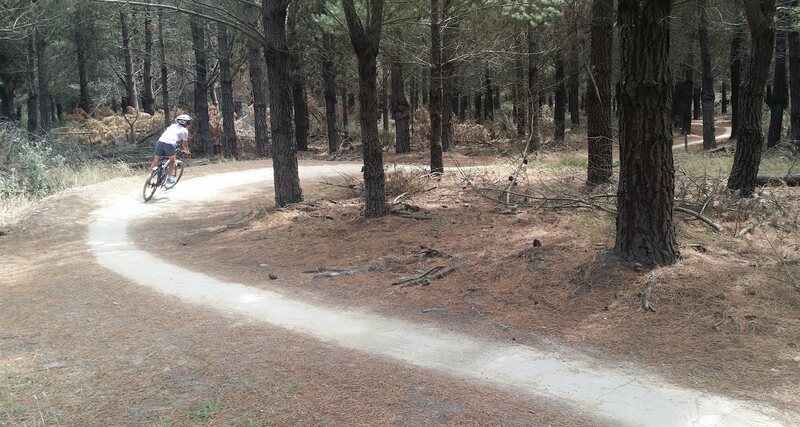 Navigation is relatively straightforward, as there are only two main (one-way) loops to choose from (and generally walking tracks are separate). 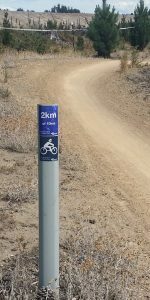 Along the way there are a number of map boards so that you can see where you are, as well as some kilometre markers to inform you of your progress. There are also various linking roads criss-crossing the area, allowing you to make a hastier retreat back to the start if you need to. It’s quite noticeable the difference in riding surface between the wind-damaged west side and the relatively untouched east side, the latter being a much harder and smoother ride. Wearing padded shorts may make for a more comfortable ride on the western half. But overall, it’s a pretty good surface for riding on. 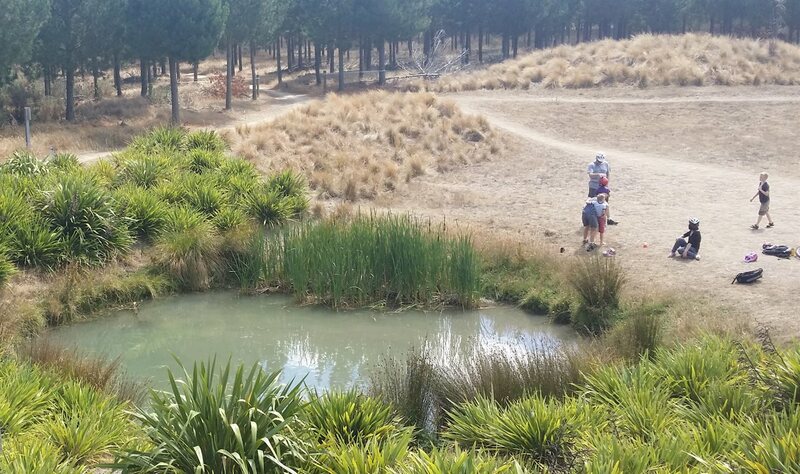 Another interesting feature of the ride is that there are a few waterholes along the route. On a hot day (like it was when we were out there) they are mighty tempting for a dip. And indeed, we saw a couple of families with youngsters taking advantage of them (no idea what the water quality is like…). At the cross-over point between the two loops a bridge has been provided to safely separate riders (particularly important for some of the ride events they have out here I imagine). It’s also a good spot to park up and catch a breather. If riders don’t want to do the longer Tresillian (western) Loop first, they can head directly east from the carpark towards the shorter Coringa Loop. Along the way, the ride crosses over the McLeans Island Golf Club access road, where a clever little crossing point has been installed. Perhaps the STOPs should have been on the road? Don’t have a bike (or can’t be bothered lugging it to the forest)? 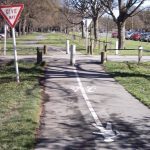 No problem, because “On Your Bike” bike hire are available right on site. Open on weekends and public holidays, they can fit you out with a bike for your ride, as well as serve you a coffee or ice-cream after you’ve worked up a sweat. 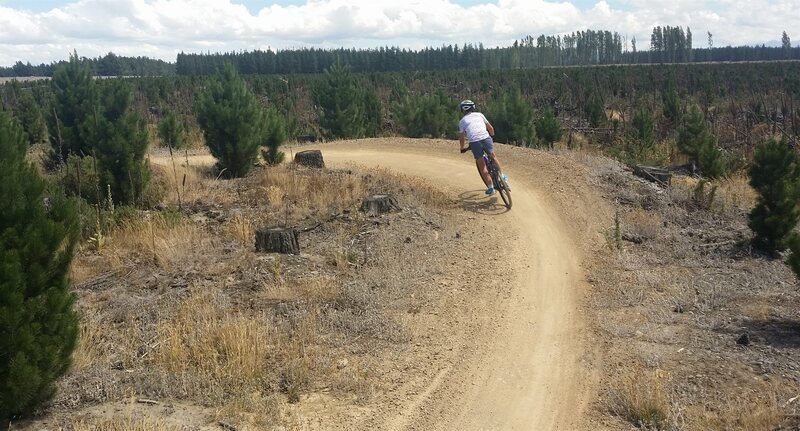 All up, McLeans Forest is a great (but relatively undemanding) ride for all and sundry, with good service facilities on site too. If you’re not sure just how far you or your kids might last, it also has some flexibility about where you can come back sooner. 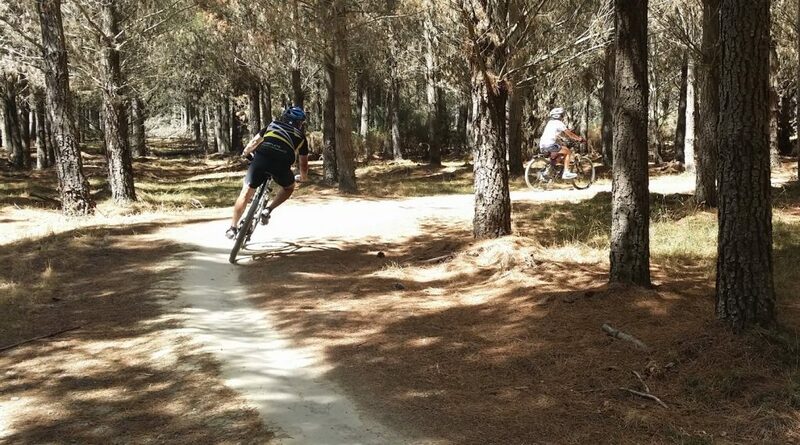 Have you ridden at McLeans Forest lately? What did you think? you can also ride from Roto Kohatu lakes of Sawyers Arms Road to The Groynes and to Belfast. this is a 15k return gravel rd loop. For those with young children riding we found the tresillian loop to be too hard. Instead we now ride along the stopbank to Angle ave and rejoin the track at the Info board (see map). This way it is much shorter and the only hills (for a 5yo) are the two stopbanks. If you still want a longer ride , the coringa loop is quite child friendly.